A hidden treasure on the University of Missouri’s campus is a living and breathing work of art. 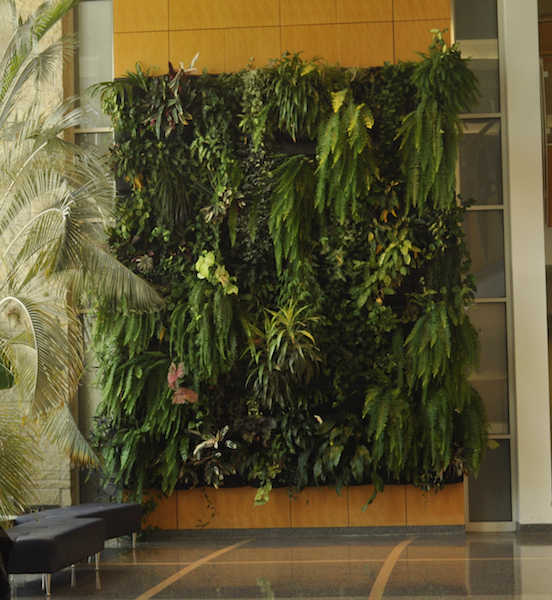 In the Christopher S. Bond Life Sciences Center, a 20-foot plant wall stands as a towering tribute to the diversity of plant life and coexistence of species — a botanical landscape of more than 200 individual plants from 40 to 50 species including many ferns, vines, perennials, orchids and geraniums. The display continues to be a visual reminder of the building’s interdisciplinary nature – much like the plants within the wall, the Bond Life Sciences Center facilitates the coexistence and collaboration between an array of researchers within its walls. One plant cascades down the wall and stands out more than most — it looks more like a large insect than any type of plant typically seen in such displays. Tillandsia is a genus of succulent plant native to Central America that can undergo long dry spells. The wiry plant thrives on the stone beside the plant wall without the help of a pot of soil, and is seemingly absent an essential, anatomical feature of most flora — roots. They still have tiny root protrusions, but the mass is minuscule compared to the thick leaves, which take up and store water and nutrients, rather than the root system which handles that work in most plants. 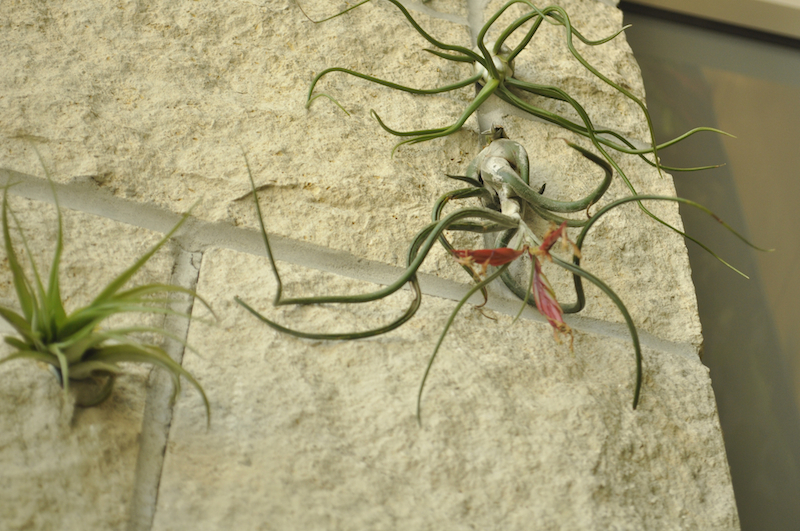 Approximately 60 Tillandsias pepper the plant wall, including a few mounted directly onto the stone wall with a special kind of non-toxic rubber cement manufactured by Davis Farms based out of San Diego. The strange plant was added to the green tapestry by Jason Fenton, an office support associate at the Bond Life Sciences Center. 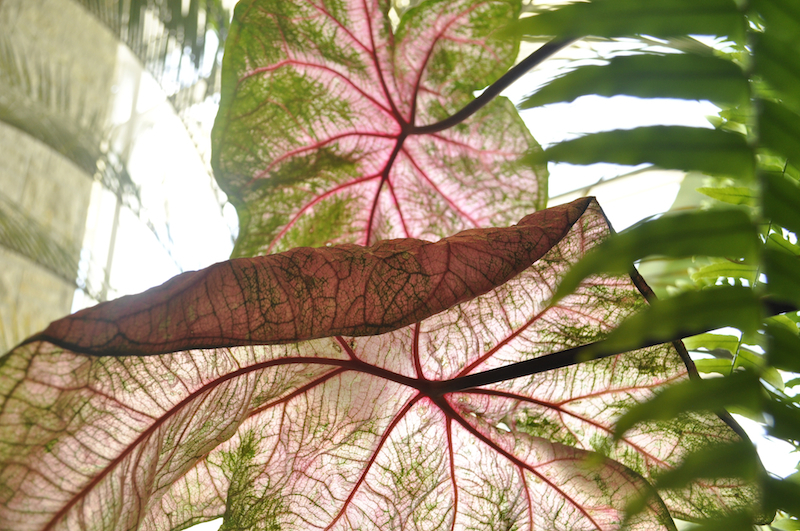 He first noticed the rootless plants in Belize while on a trip there in 2003 and had been growing them at his home. The rootless plants require special treatment — just a little extra attention from facilities manager, Jim Bixby, who waters the Tillandsias with a spray bottle once a week. The wall started with a vision from Jack Schultz, director of the Bond Life Sciences Center. The execution and maintenance of the feature is credited to Bixby, who has honed the project since 2010. After trying several watering systems, Bixby found one that worked. He hung rows of pots with modified flat sides and tailored a simple, drip irrigation system made for easy watering along a grid. Within the diverse landscape and after additions of a variety of plants over the years, Bixby has seen competition between several of the species. 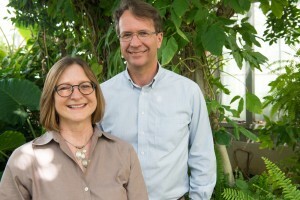 The wall favors the ferns, which have taken over much of the space, crowding out other plants for the eastern sunlight that flows through the windows, Bixby said. 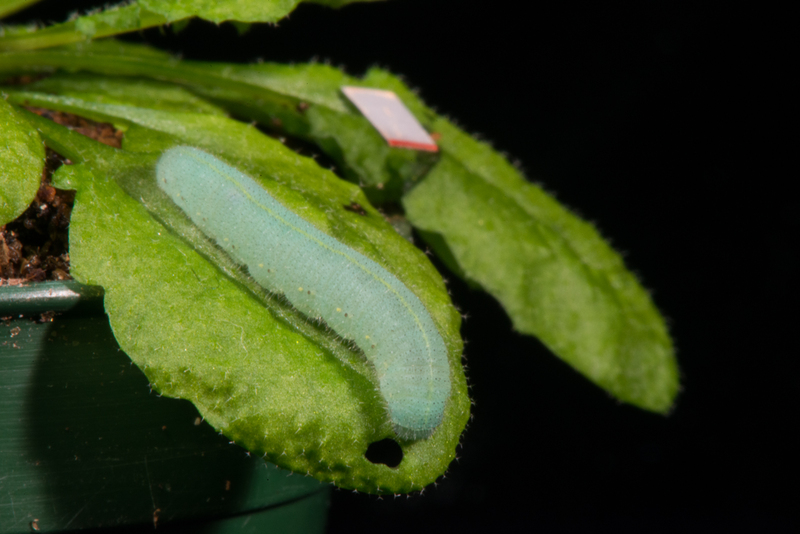 Several long-stemmed species have found ways to cope, however; venturing out between the ferns’ curtain-like fronds to get their fair share of sunlight. 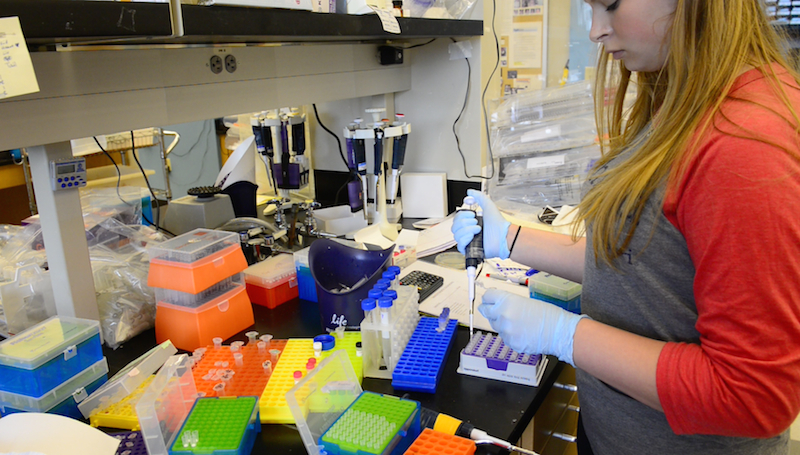 While summer brings a slower pace for many researchers, others use it as an opportunity to learn for their profession and network with others in their field. Bond LSC researcher Cheryl Rosenfeld recently traveled to Africa to further her learning as a veterinarian. This continuing education gives her the opportunity to learn the newest techniques in the field and network with others to learn what’s current and on the collective minds in veterinary medicine. Through the North American Veterinary Community (NAVC), Rosenfeld has now gone on three expeditions where participants observe animals in their natural, exotic environments, attend nightly lectures and learn more about the humans near these animals. Previous expeditions led Rosenfeld to the Galapagos Islands and the Florida Keys, but her June 2014 trip started in Rwanda and ended in Tanzania. 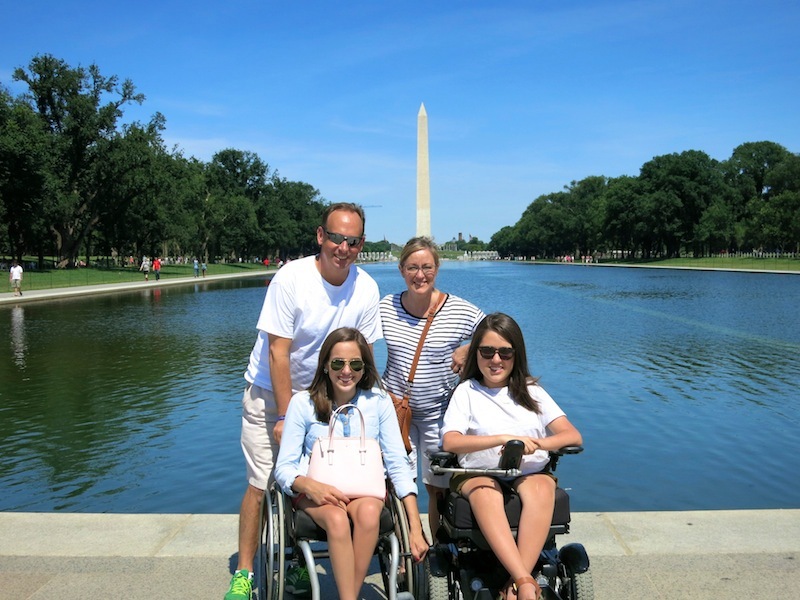 Here’s the first of two entries where Rosenfeld shares here experience. In June 2014 Cheryl Rosenfeld traveled to Rwanda to observe mountain gorillas as part of her veterinary continuing education. 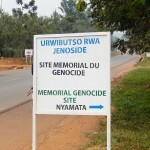 The 1994 Genocide is a omnipresent part of the national psyche of Rwanda. Sites like this memorialize the millions killed in the 1994 genocide. 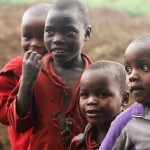 Local children from one Rwandan village. Rosenfeld is pictured in the blue four drums from the left. The fate of animal populations is generally intertwined with the predicament of humans in the area. Nowhere is this truer than in Rwanda. Most people know Rwanda for Dian Fossey’s work with the mountain gorillas and the genocide of more than 1 million Hutus and Tutsis that happened 20 years ago in 1994. In this 100-day period, an average of six individuals were killed per minute. Children that survived were often orphaned and many surviving women suffered being raped and exposed to HIV infection. 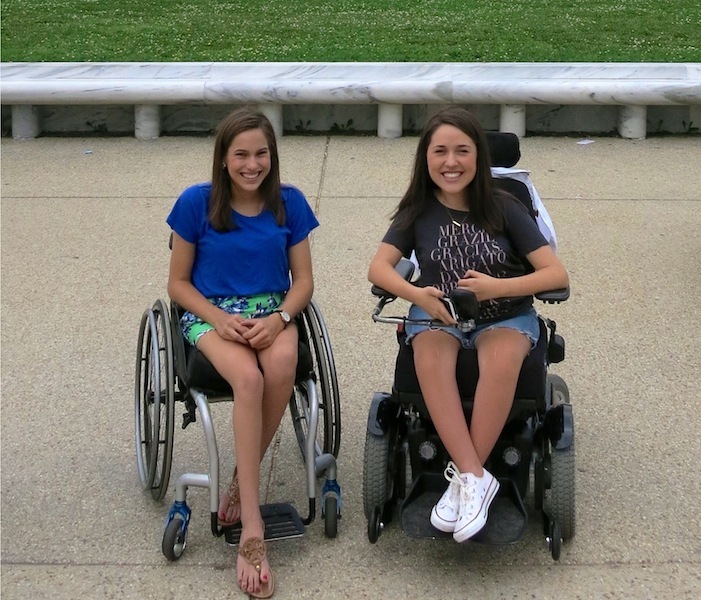 In all, many still require extensive medical and psychological care. On our flight and checking into our hotel was a medical team from Harvard Medical Center that was there as part of the Clinton Foundation to assist in the medical needs. We saw the history that continues to shape the country when we first visited a genocide memorial site just outside of Kigali where thousands of individuals were brutally murdered and the Kigali Genocide Museum that was partially funded by an English Jewish Holocaust survivor. The history of the conflict is rooted partially in Western influence that infused a social division. Prior to Europeans colonization, Hutus and Tutsis lived in relative peace and individuals could go back and forth between these two groups. The original difference was that Tutsi individuals owned more than 10 cows. The differential treatment and classification adopted by Europeans began to trigger conflict between the two groups. 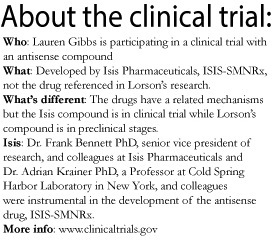 Prior indicators, including extensive propaganda, were ignored by the United States and United Nations. The museum includes two stained glass windows that depict the evidence that genocide was imminent and failure by other nations to prevent this tragedy. Genocide isn’t unique to Rwanda, though, and the displays describe the commonalities on their sad origins in other countries throughout history. Outside the museum, there are several mass graves where fresh flowers are placed on a routine basis. 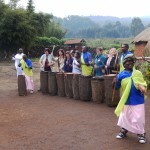 I was originally hesitant about traveling to Rwanda because of this history, but am very glad I took the chance. The Rwandan government has worked hard to turn around and instill pride in the country. Their economy is one of the fastest growing in Africa with construction of new businesses and hotels in Kigali. Moreover, the government has placed a ban on plastic bags and hired teams of individuals to keep the country clean. 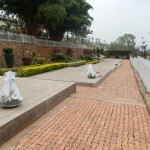 One Saturday a month, all Rwandans, including the President, are expected to participate in clean-up day, which becomes a convivial social event. While there is still sadness in the eyes of many individuals I met, I also saw hope of something better, which was inspiring to witness. We were soon off to learn about the mountain gorillas that are now the pride of the country. During Dian Fossey’s time, she battled to prevent poaching of these magnificent and intelligent creatures. 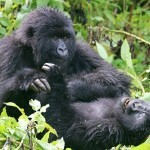 The country now realizes the worth of preserving and propagating the mountain gorilla populations. In a reasonable and safe way, they developed a tourist industry to view the various troops of gorillas. 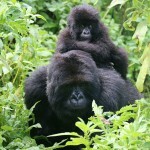 It currently costs $750 to spend one hour with the mountain gorillas. The government has restricted access to prevent gorilla habituation and stress from too many tourists. We spent two days with different troops. While waiting in the morning to find out which troop we were responsible for trekking, we were entertained by local dancers. I regrettably made the mistake of indicating I felt fit to track the one of ten groups that was at the furthest distance. The group that was involved in trekking the first day was called “Snow” in Kinyarwanda. I believe they received this name because they inevitably reside high in the mountains, which used to have snow. As we set off on our hike, many children came out to say “MooRahHoh”- hello in Kinyarwanda and asked for us to take their picture. We were informed that we should easily return before lunch, and therefore were only provided a package of peanuts. Unfortunately, it took us longer to hike through the forests that transitioned from bamboo to masses of stinging nettles and did not return to the hotel until 6:30 p.m. After more than three hours of hiking and our eyes finally fell upon our first mountain gorilla, the silverback of the group. Even knowing that this was the ultimate goal, we were not prepared for this amazing experience of being so close to a creature in the wild that resembled us. We had the opportunity to meet the rest of the troop, including several 3 to 4 month old babies that were quite entertaining. The enclosed photos and videos only provide a sliver of the spectacle that we were privileged to be part of these two days of gorilla trekking that made our hunger and continued burning sensation on our face and legs from stinging nettles well worth it.